On my recent trip to Dublin, I had to position to LAX the evening before my early morning flight. 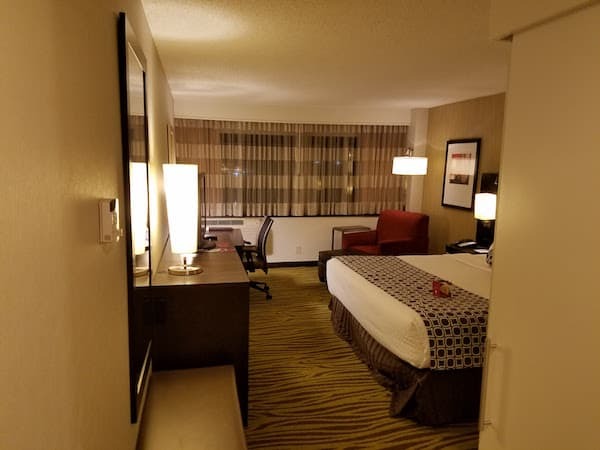 Using points I had accumulated through a recent IHG promotion, I booked an award night at the Crowne Plaza LAX for 25,000 points. 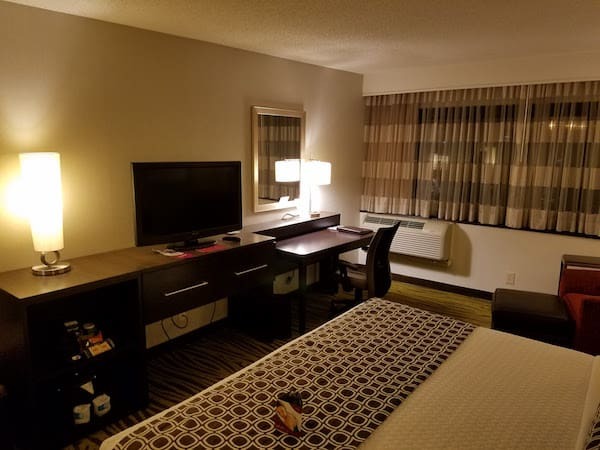 The Crowne Plaza LAX is along West Century Blvd, the main drive in to LAX. It is home to one of pretty much every chain of hotel. I have heard it is possible to walk from the terminal to these hotels, but most offer a free shuttle. The Crowne Plaza LAX shuttle comes every 20-25 minutes and picks up on the lower lever of each terminal in the red (hotel) zone. I waited 25 minutes for the shuttle and saw the Hilton shuttle go by 4 times, the Concourse (soon to be Hyatt Regency) and Marriott go by 3 times. So it isn’t the most regular of hotel shuttles but it is free. The shuttle ride took about 15 minutes but I am sure that could go up or down depending on traffic, construction, and what terminal you are coming from. I arrived pretty late, around 11:00pm. There was only one front desk agent but I did use the “preferred guest” line and only had to wait a few minutes. They didn’t have the King Room that I booked available, so the agent had to get his manager. 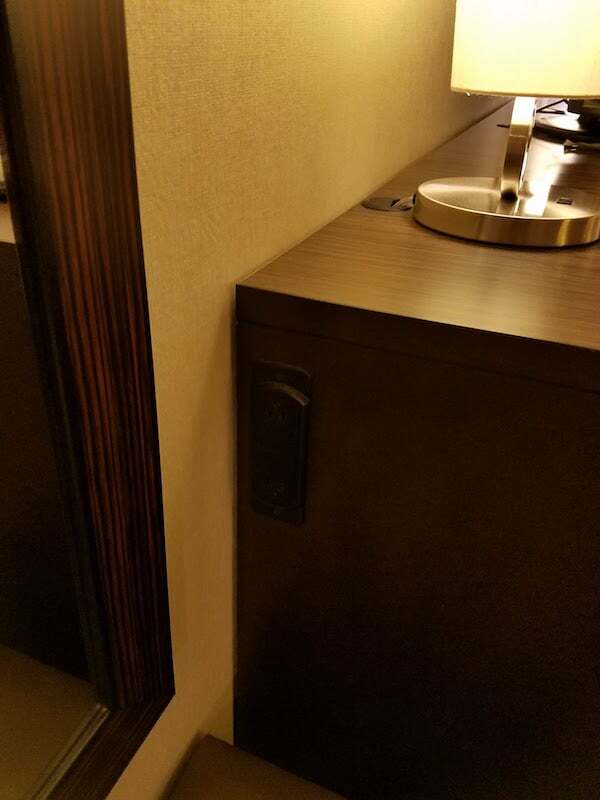 They were able to get a King room but it was only on the 7th floor with not much of a view. I wasn’t going to be too picky; I was only sleeping there. 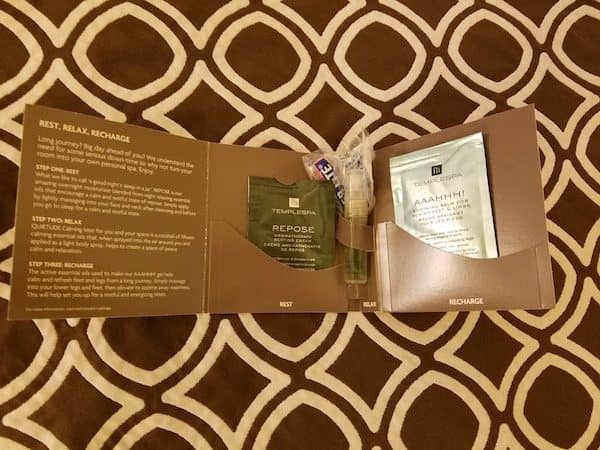 As a Platinum member I was offered my choice of a free drink, 600 points, or a bottle of water and snack mix. I took the points. As an apology for the wait and them not immediately having my room available I was also offered free breakfast in their restaurant. 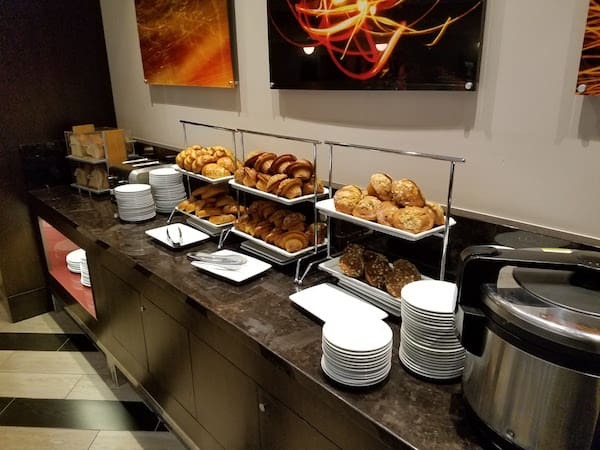 Typically Platinum members have breakfast in the executive lounge but this was a bigger buffet. It was a nice gesture. 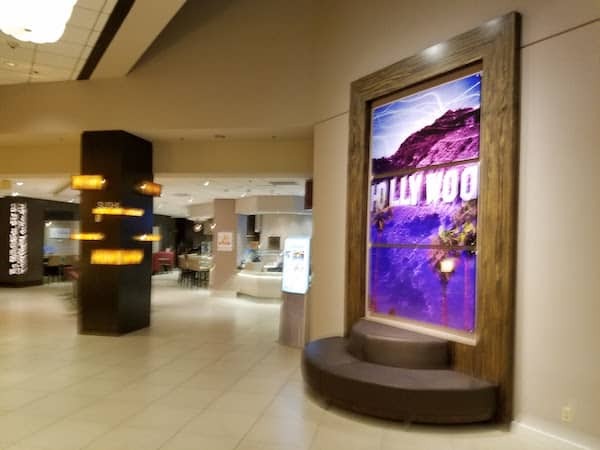 The lobby is modern and trying for a bit of a trendy Hollywood vibe. It is clean but not any place you would spend time except waiting for your shuttle or car. 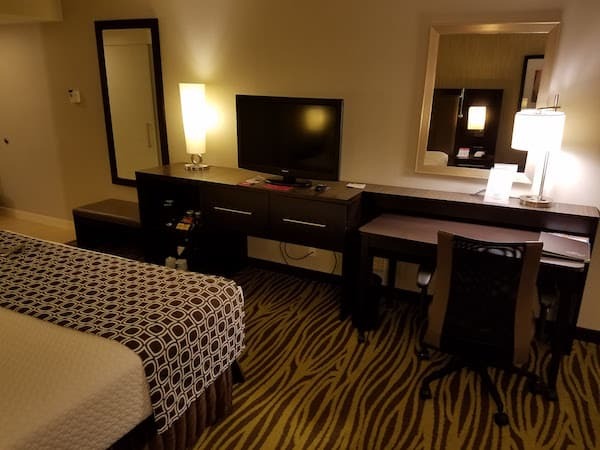 The room I received at the Crowne Plaza LAX was a pretty typical airport hotel room. Small, clean, modern and fairly basic. The windows are small and the view is of an office building and carpark. The furniture is relatively new and in good shape. The bed is comfortable. There is a large TV with HBO. 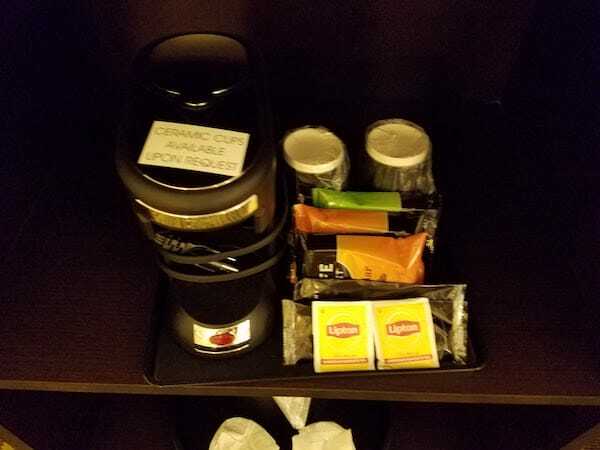 An old school coffee maker (no Keurig) is next to the TV. No mini fridge. 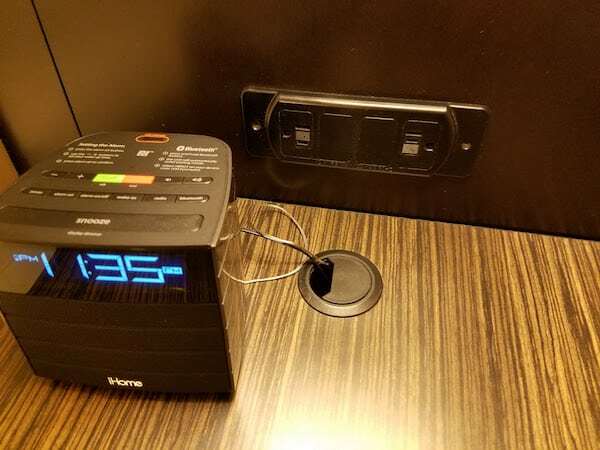 There is also plenty of outlets around the room which I always appreciate. 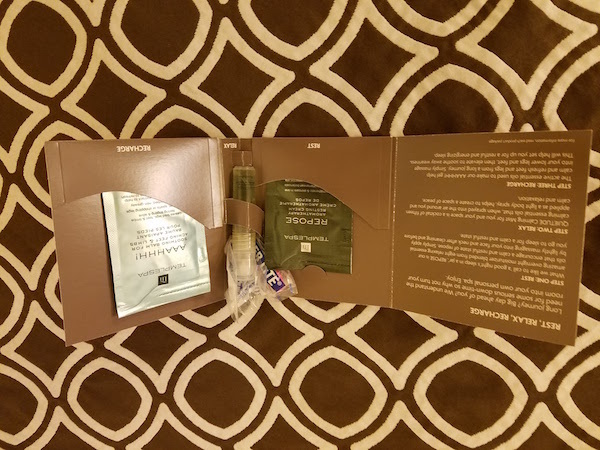 There is also a welcome packet on the bed that had earplugs, lotions and a relaxing mist spray bottle. Didn’t use them but I’m sure someone would feel fancy using them. 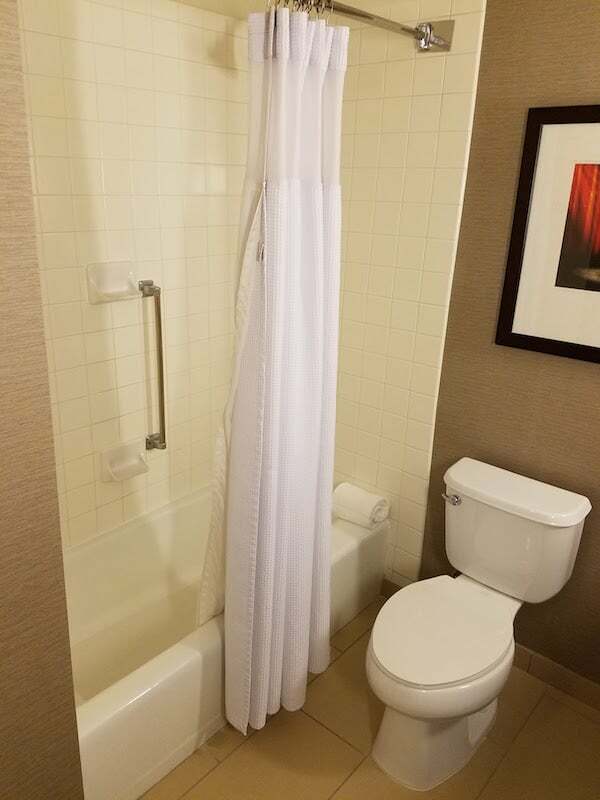 The most distinguishing feature of the bathroom at the Crowne Plaza LAX is the strong water pressure. It is almost too strong; and I like it strong. 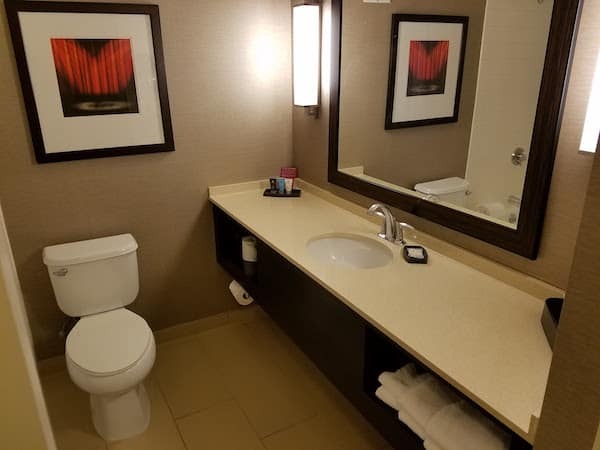 The bathroom is clean and in decent shape. There are a few cracks on the makeup mirror, but I don’t typically use that anyway (does anyone?). 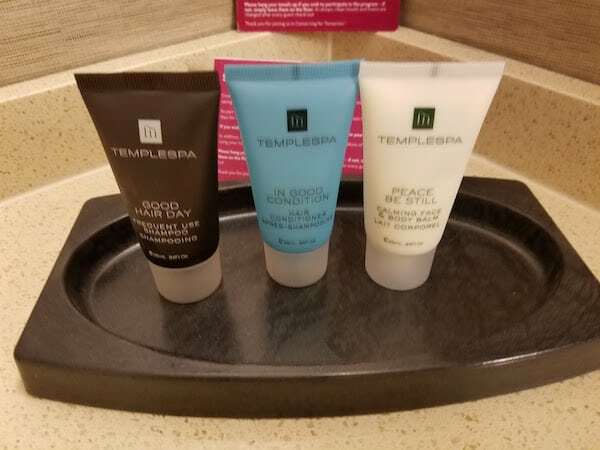 The bath products seem to be high on scent and low on quality. But they do have fun names. One minor annoyance is that there is only one bar of soap. I had to move it from the sink to the shower. 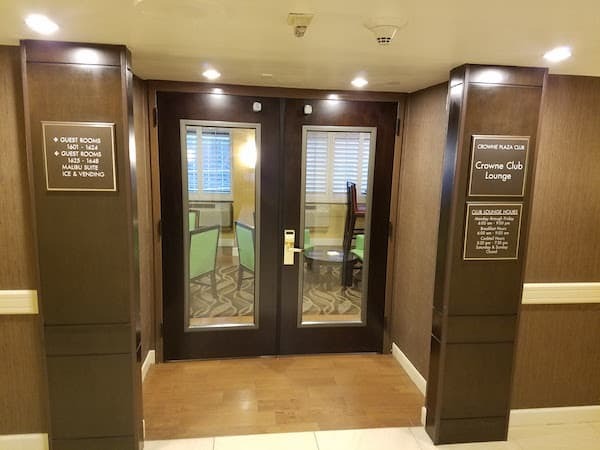 The Executive Club is located on the 17th floor of the Crowne Plaza LAX and can be accessed with your keycard if you are given access. The club is quite small but they did have self serve soda and water bottles. 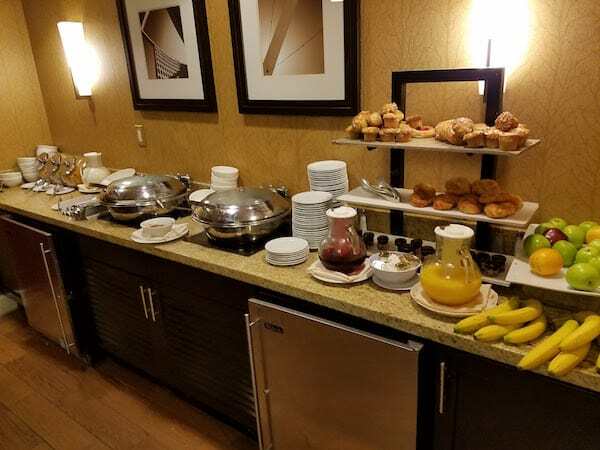 Breakfast and evening snacks are served but I arrived too late to try the snacks. 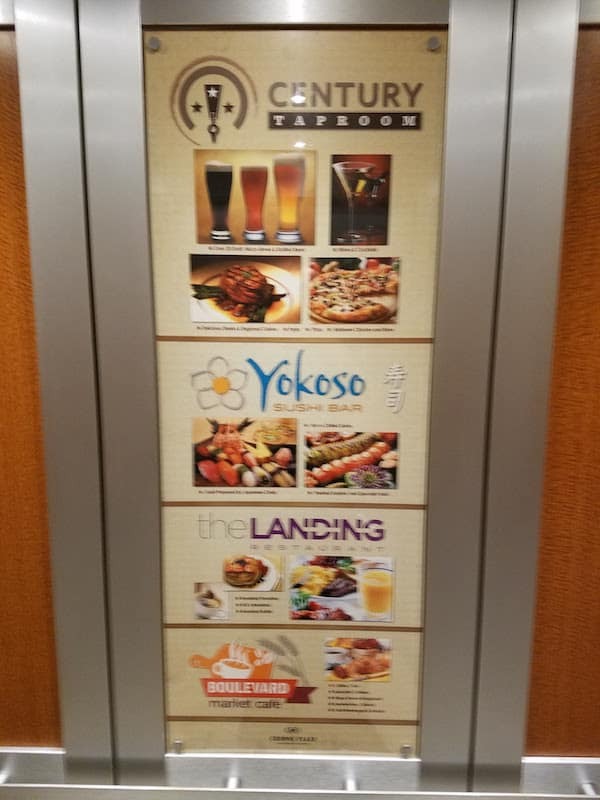 My complimentary breakfast was in The Landing restaurant on the first floor (there were a couple of restaurants but only one for the complimentary breakfast). 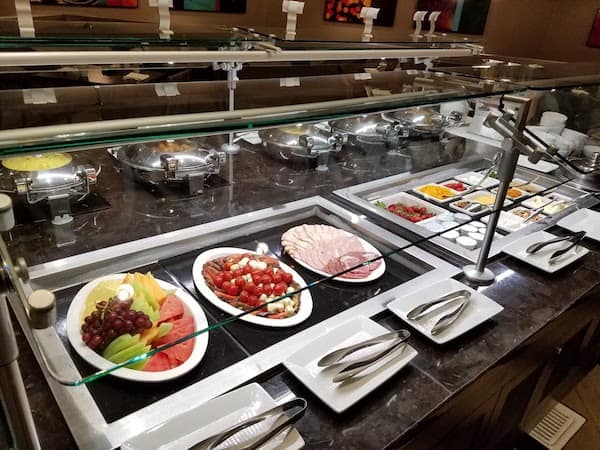 It is a buffet breakfast with both hot and cold foods. I was also given the option to order an omelet. The food is fine, probably what you might get at a Denny’s. Nothing too spectacular but enough to keep you going for your flight. My omelet came alone on a white plate. Not much for presentation but again, it tasted fine. 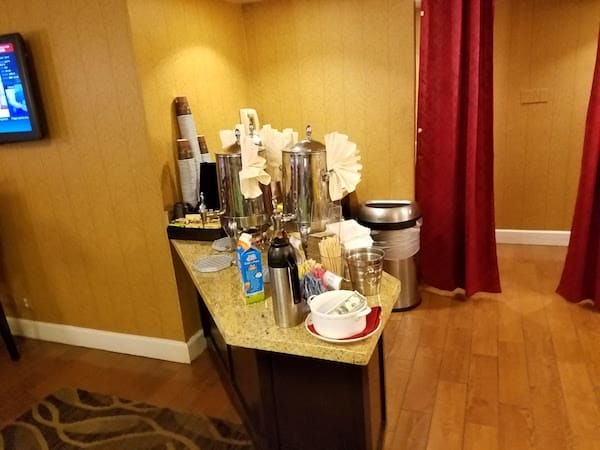 I was impressed that the staff at the Crowne Plaza LAX was able to get me my room choice and also gave me breakfast for my short wait. I understand that there is a pool but I am guessing most people use this hotel as a quick stop over before or after a flight. It is convenient but they could run more shuttles. 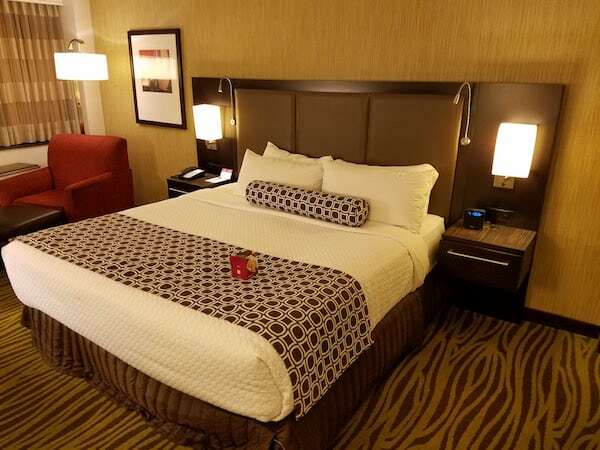 At 25,000 IHG points it isn’t a bad deal for an awards night. 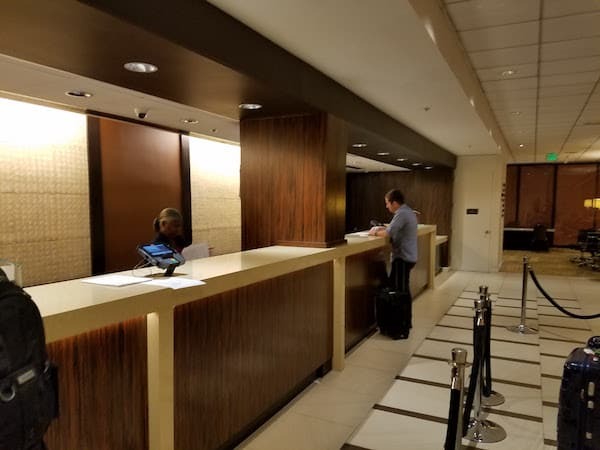 My next time I overnight in LAX I am going to try out the soon to be rebranded Hyatt Regency LAX and will do a comparison. One other odd note. Each morning at 7:00am protestors arrive with bullhorn and start chanting at the hotel. I was up before they started but I imagine if you were trying to sleep in and on that side of the property (the side that overlooks the porte cochere) it would be a nuisance. My understanding is that they are from a labor union and FlyerTalk has more info about their presence. 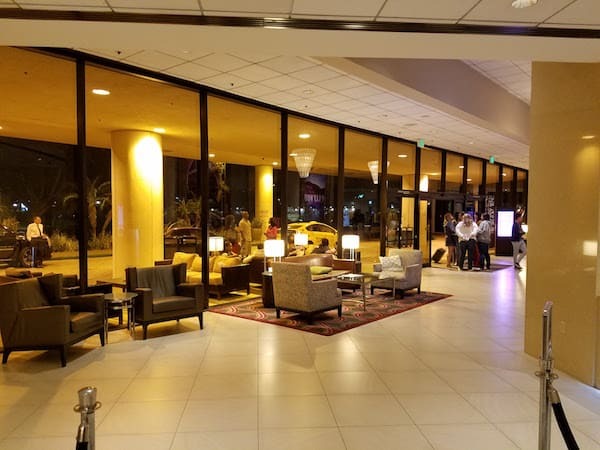 I like the fact that the hotel is easily walkable from the terminals – takes me about 20 minutes (same is true of a number of nearby properties). I’ve occasionally been checked in when the crew of my flight arrived on the shuttle. I appreciate being able to stretch my legs after a long flight, or getting some exercise in before a sedentary day of traveling. Thanks for this tip. I have hear the hotel is walkable, but since I wasn’t sure the route to go, the shuttle just seemed to make more sense.